Infuse your hair with health and happiness with the Tigi S-Factor Health Factor range, a collection of hard-working products that smooth, soften and infuse your hair with an unbelievable shine. Each gentle formulation is made up of a fortifying Healthy Hair Complex that is packed full of beneficial natural ingredients, working to promote a healthy hair and scalp. 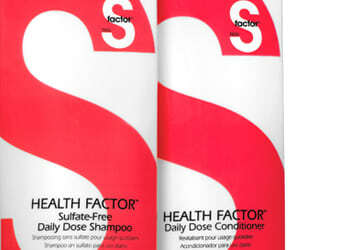 Damaged, over-processed hair is saved with the Tigi S-Factor Health Factor range!